WASHINGTON – U.S. Senators John Boozman (R-AR) and Chris Murphy (D-CT) introduced legislation, called the Century Farms Act, to recognize farms that have been in continuous operation for 100 or more years. 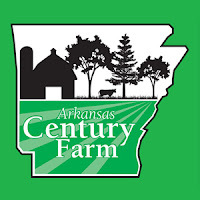 To date, over 30 states–including Arkansas and Connecticut–have established Century or Centennial Farms designations and awards. However, no federal recognition for 100-year-old farms currently exists. The Century Farms Act will direct the U.S. Department of Agriculture to establish a program honoring and recognizing the invaluable contributions of century-old farms. “In Arkansas, the family farm is a vital part of our state’s rich agricultural heritage. This is true across the country. In fact, according to the Department of Agriculture, 97 percent of farms in the United States are family-owned operations. Many of those farms have been passed down for generations. The dedication and commitment these families continue to show to farming is vital to the history of rural America itself, which is why we should honor and recognize the contributions of America’s century farms,” Boozman said. “It's harder to farm today than ever before. Prices are down, costs are up, and good help is hard to find. That's why it's so exceptional that some farms, in Connecticut and across the country, have sustained over one hundred years. One hundred-year-old farms like March Farm in Bethlehem have a long and storied history of providing healthy, locally-grown food for our families,” said Murphy. “They’re creating good jobs and ensuring Connecticut's rural economy continues to grow and thrive. We owe these farms a great deal, and I’m proud to have introduced this bipartisan bill to give them the recognition they deserve. Family farms represent 97 percent of all farms in the United States. Of those family farms, 90 percent are considered small farms. 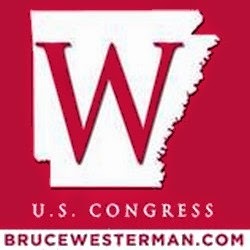 Tags: Bipartisan Legislation, Recognize, Century Farms, Century Farms Act, Senator, John Boozman To share or post to your site, click on "Post Link". This site is an Outreach of the ARRA News Service.